Since the launch of Te Ara in 2005, several other geographical regions have also launched online encyclopedias. One of those is the US territory of Guam in Micronesia. 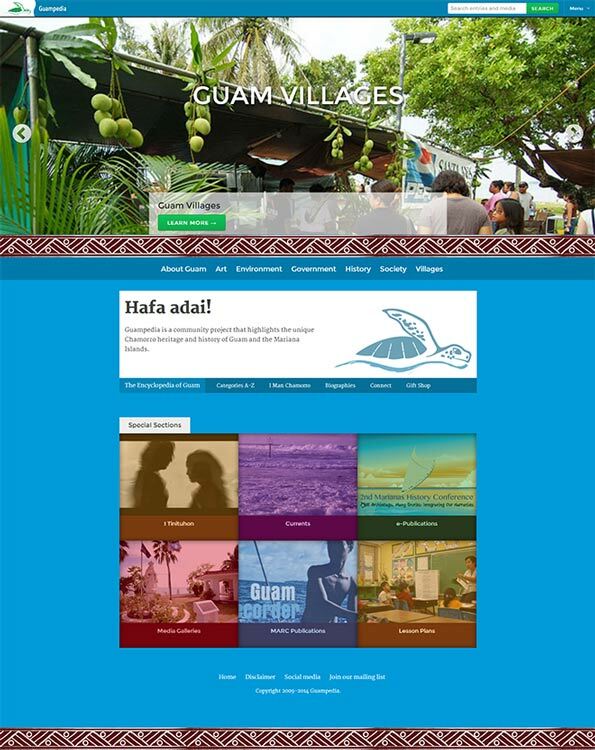 This is the home page for Guampedia, which contacted Te Ara as they developed their site.